Unboxing and Review | Glamego Box - JANUARY 2018 - YOUR FANCY SELF! 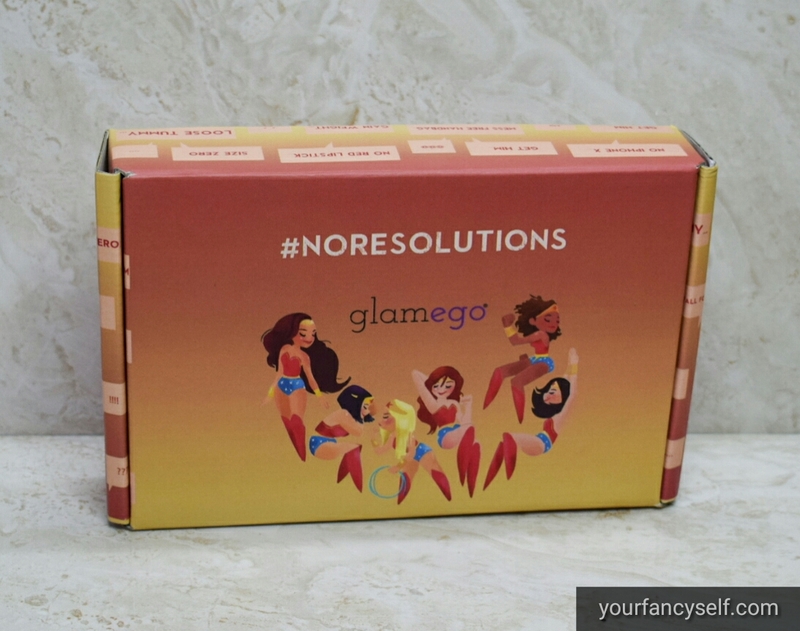 This blogpost is about an exciting monthly subscription box called Glamego. What else can be better than starting 2018 with little bit of pampering at such an affordable price! 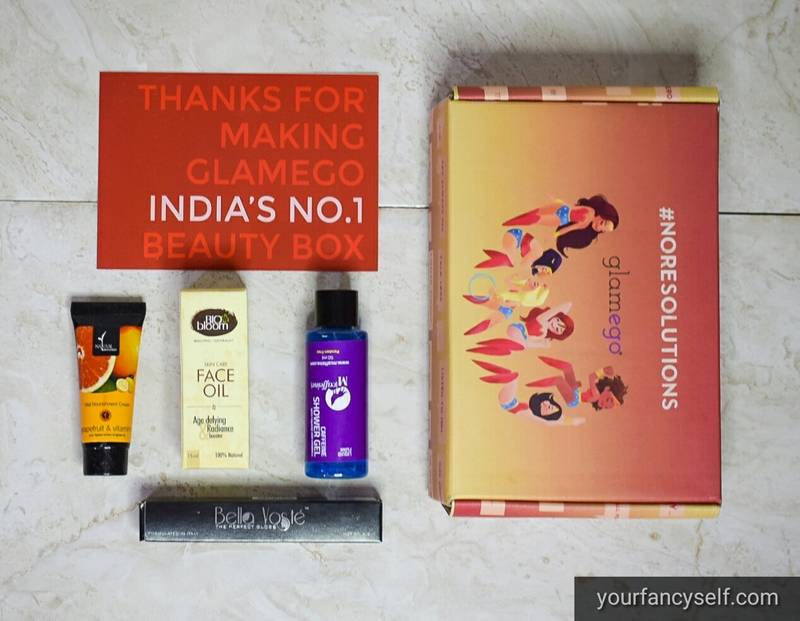 Glamego in no time has become INDIA'S No.1 Subscription Box. What makes this subscription box standout is its affordable prize yet they have maintained a good rapport when it comes to the choice of products. You get 4 beauty products for just Rs. 399 if you are going for one month subscription. The first subscription box of the year is themed on the basic agenda of everyone for start of the new year .i.e. RESOLUTIONS. 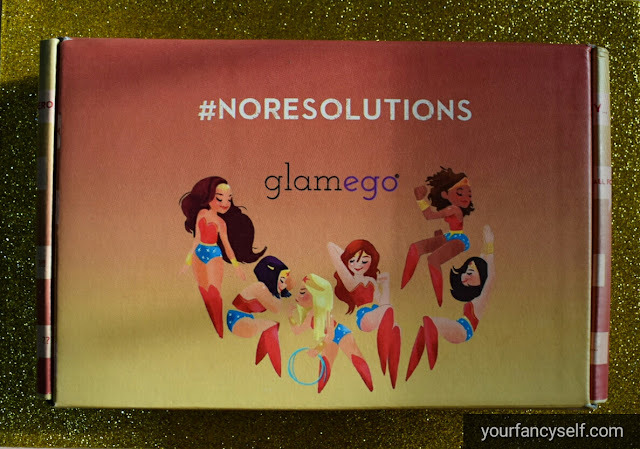 The box is based on the idea of #NORESOLUTIONS with a bunch of wonder women depicted in various shapes and colour, which gives the idea of embracing the wonder women in yourself in-spite of your imperfections. The theme is very thoughtful and empowering in the sense that every women is wonderful in her own way. 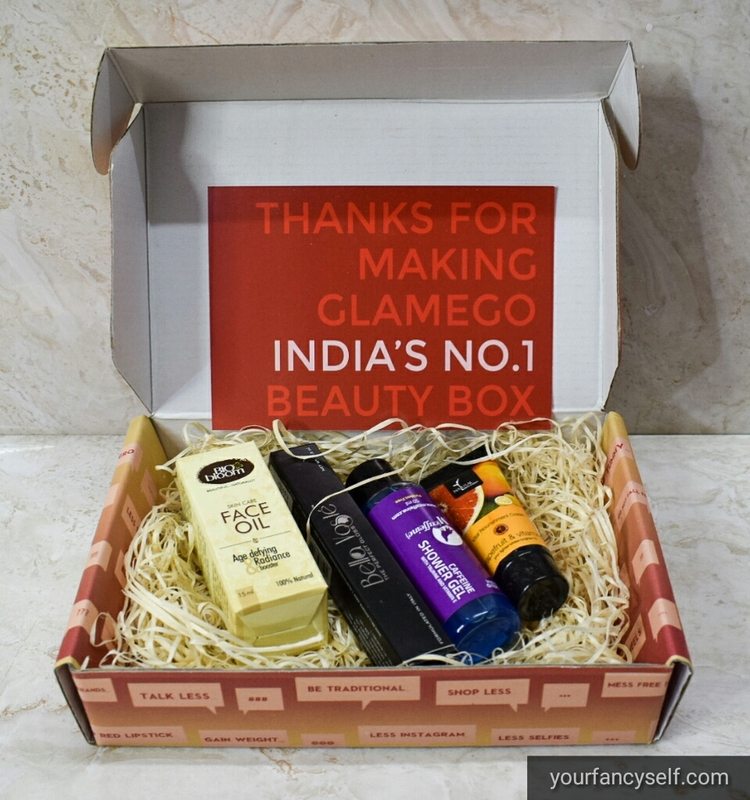 The box contains 4 products from premium brands worth Rs. 2500 for just Rs. 299 (6 month subscription plan). The box for 1 month costs Rs. 399 which is so damn affordable. Biobloom is one of the top organic brand and they have launched their premium Face oil to slow-down ageing and for radiant looking skin. 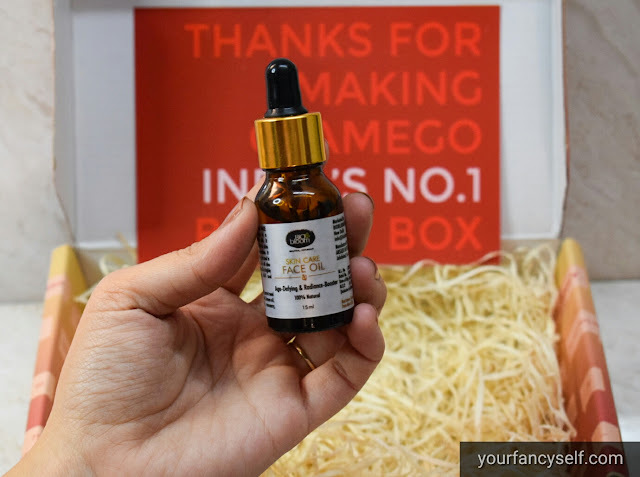 Biobloom recommends this oil for anyone who has turned or crossed 18 years of age, for this is the best time to start slowing the process of ageing. The oil has 100% Natural Ingredients. It contains some of great facial oils like rosehip oil, germanium oil, carrot seed oil and many more. Just take a few drops and rub it on your face for natural glow and it is a best RADIANCE Booster. P.S it has a very strong fragrance due its natural ingredients which might be too much for people with sensitive nose. However the fragrance goes away after some time. This is Italy formulated Lip Gloss which gives you a moisturised and plump looking lips. In winters to save the lips from drying and getting chapped with matte lipsticks, Lip Gloss are the best option. It is also not sticky and highly pigmented. Since this cream contains grapefruit, it brightens up the skin and evens the skin tone. This cream helps in removing blemishes. It is very light weight and absorbs into the skin in no time. This shower gel contains caffeine which is great for inflammation and helps in cellulite reduction. It has a very refreshing fragrance. Overall it is a great box for the price you pay. Some of the brands might be new to many of us but they are worth trying. 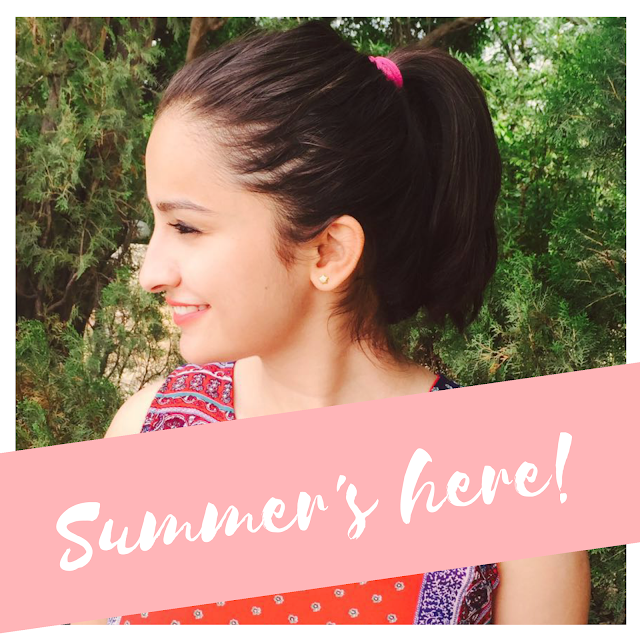 I believe that every once in a while it is great to step out of our normal rut and try some new things which might be even better for our skin. You can book your January box here. P.S. I will use the products and review them soon.